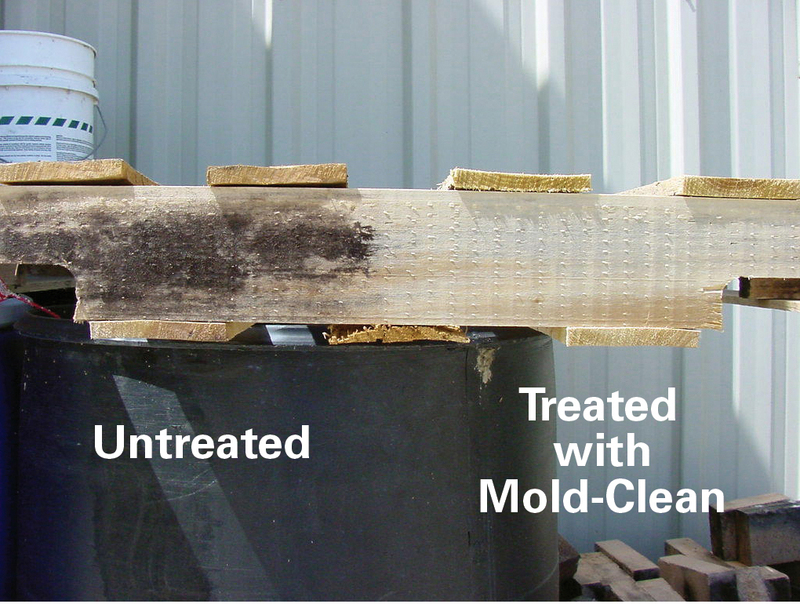 Ready-to-use Mold-Clean is a detergent, wood cleaner and surface conditioner that is perfect for removing the ugly stains caused by water damage on all building materials. It contains special wetting agents for deep penetration into wood pores for thorough stain removal, minimizing or even eliminating scrubbing. Contains sodium hypochlorite and detergents to clean with minimal scrubbing. Perfect for water damage on all building materials including wood materials, siding, composition decking, patio furniture, fences, etc. 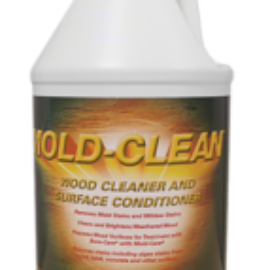 Ideally use in conjunction with Bora-Care with Mold-Care to clean surfaces before application for the fungicide. Apply liberally to the point of runoff to wood or other surfaces using a low pressure (15-20 psi) sprayer. Allow surfaces to remain wet for 5-10 minutes, then thoroughly rinse with water using a high pressure stream. 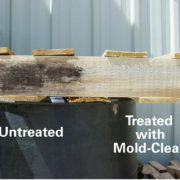 When using on bare wood in crawl spaces or basements, Mold-Clean can be wiped off or left to dry.